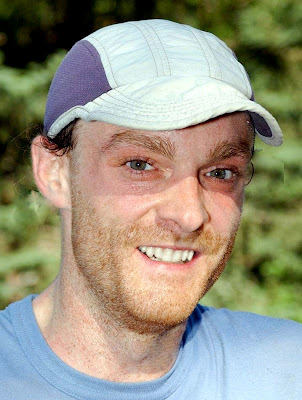 A Trail Runner's Blog: Can Geoff Roes be stopped? Geoff has a great blog, btw. If he got attacked by a grizzly bear or a pack of wolves in his next race he may slow down a bit. Stopped? No. An interesting blog! I just finished Christopher McDougall's book and went surfing for more info & inspiration. Have read several of your posts and lost myself to the numerous links. Thanks for everything you've posted. Can't weigh-in on the Geoff Roes debate, though he does sound unstoppable. But I wanted to cheer your first two fave films - SHAWSHANK REDEMPTION & LITTLE MISS SUNSHINE - am having both my feature-length screenwriting classes read both scripts. Glad to see you validate my choices! Who dares? Anton and Kyle are your best bets but highly erratic and as amazing as Meltzer and Jurek are(they deserve tons of credit), I think the bar has been raised to another level in recent years. Geoff Roes is America's #1 100 miler. can he be stopped? the answer is no... certainly won't be by any other runner... not at least for a long time. I think by this point it has been almost proven that if someone somehow beats him it will be due to some other factor (not to diminish the win for whoever it is if/when it happens). Great post, an inspiration to all. Am tackling my first every trail run in a few weeks which should be fun. On a flat course, maybe Akos Konya. More than 100 miles, maybe Kilian Jornet. Not likely, any time soon. 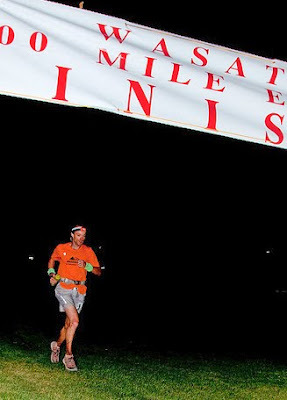 Last weekend he set another record at the Mountain Masochist 50 miler in Virginia.